This is what I know about 2017. We’re still facing some of the same hopes, loves, fears, promises to keep, and problems we faced in 2016. 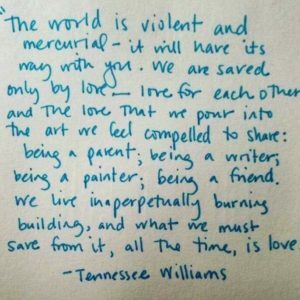 I like Tennessee Williams’ take on the world. It’s mercurial and will have it’s way with us. So, although many of us left 2016–a year of fear for this country and the world–we also brought it with us into 2017. We have some serious work to do in the topsy turvy world we woke up to on January 1. We need to work to make this a place where goodness, hope, and promises are more than blind rhetoric intended to win points or votes or popularity contests (although false promises failed to win the popular vote). We need to support truth and honesty and doing the right thing for everyone. I also think we need to reflect back on 2016 and find the good. I have grandtoddlers and a grandbaby. 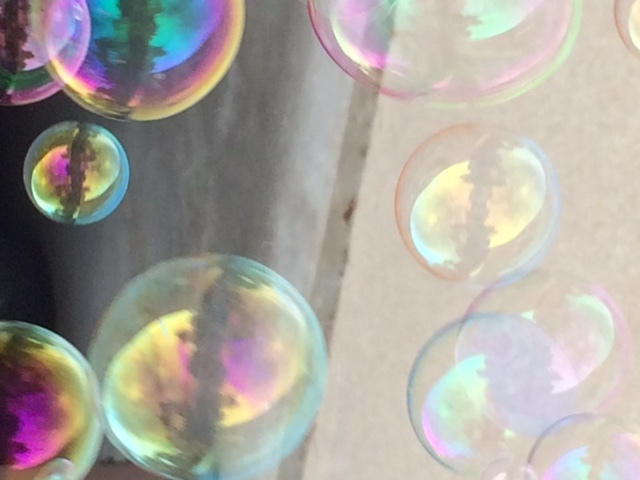 They’re like joyous bubbles. I have a novel that’s almost complete and I’m revisiting a proposal I wrote last fall and turning it into nonfiction stories. I have the most amazing family. These things carried me through 2016 and they’re still here with me in 2017. What’s in your life? What can lift you? Carry you? Let’s bring those glorious things and people into 2017. 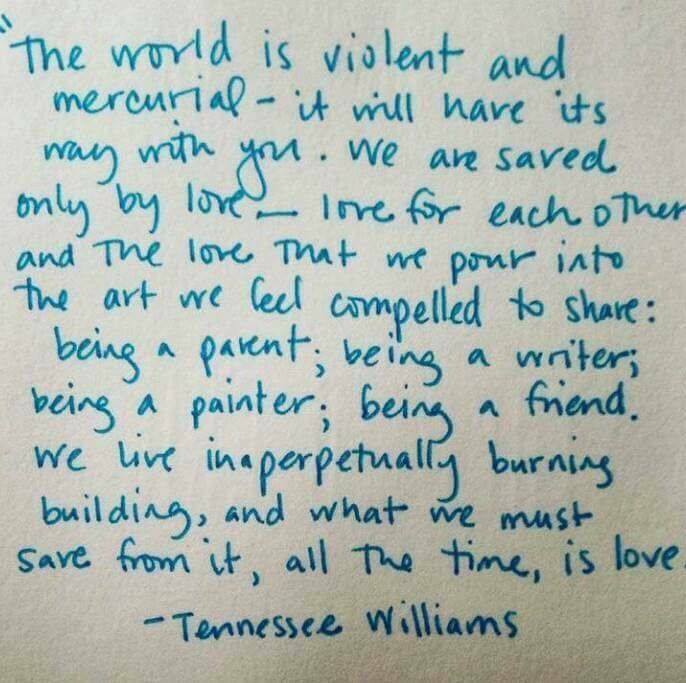 As parents, writers, painters, being friends, let’s save these from the burning building of 2016 and make these the love of our 2017 lives.